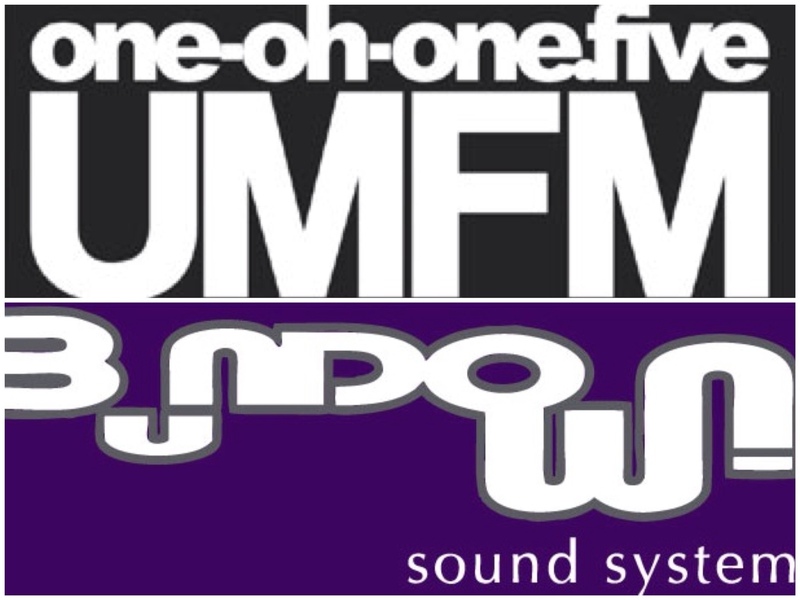 After nine years, Bundown Sound System will return to the FM dial tomorrow night with their new weekly mixshow, Fuel Good Radio. Collectively, Bundown – in its current form – have never shared mics on-air but there are a handful of them who are no strangers to radio. Lucious worked the airwaves on FLAVA 107.9, CKUW 95.9 and ENVOL 91.1. Boogie, Lord and Pleezy also served as on-air talent on CKUW. The entire team will rock the turns every Friday from 12 midnight – 2 a.m as well as feature live-to-airs from Bar Italia, the popular Corydon Avenue haunt which hosts their fuelGOODmusic residency on Friday and Saturday nights. Studio54, our big bang discoparty will be returning this Thursday, April 21 inside the Exchange’s hottest new nightspot, 6 Degrees Martini Bar & Wine Lounge – the same venue that was rocked by M*O*V*E two weeks ago. This time around, QUADRATIK and JAY BOOGIE will be joined by fellow music lover & breaks musicologist MAVERIK. His pedigree can’t be fronted on – he’s a member of local b-boy heroes, DANGEROUS GOODS CREW. Naturally, The Godfather, LUCIOUS, will be the firestarter for each choon. As announced in our last post, Jay, DJ CO-OP and FILTHY ANIMALS will be opening for the Winnipeg stop of Shallah Raekwon’s Shaolin Vs Wu-Tang tour. It’s going down this Saturday, April 23 at Pyramid Cabaret. $25 advance tickets are available at Kustom Kulture, The Urban Bakery and ticketworkshop.com. Door admission is $30 for 18+ patrons. De La Soul’s Maseo to play Pyramid. The cat’s finally out of the bag. As mentioned in previous posts and Twitter blasts, we have been sitting on a show that we’ve been dying to announce and so without further ado, we are proud to announce that MASEO aka Plug 3 will be gracing the stage of the Pyramid on April 16. He will be joined by QUADRATIK, JAY BOOGIE, OFIELD K, LUCIOUS and special guest LONNIE CE (THE LYTICS, Grippin’ Grain). Advance tickets are $10 and will be available at The Urban Bakery (shout out to Kev!) and door admission is $15. At the same time, don’t forget that DJ TAKTIKS will be our special guest at M*O*V*E this Saturday, April 9 at The Orbit Room! Taktiks has been holding down Toronto’s CKLN 88.1FM for a minute now with his Mixtape Massacre radio show. 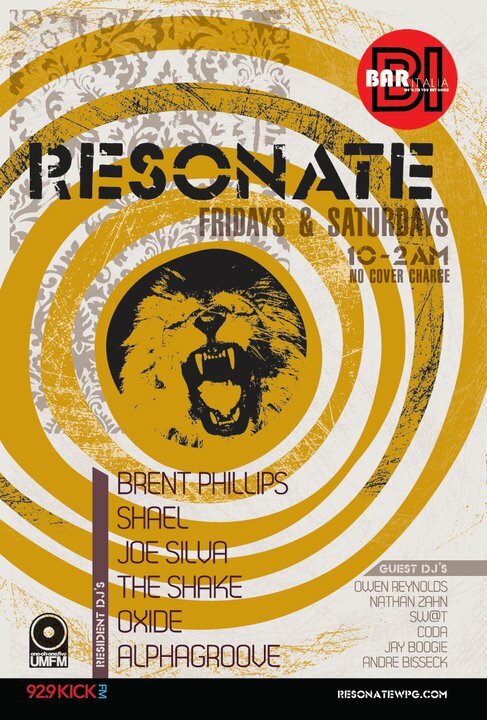 He’s a true music lover and he can always be found spinning at clubs, lounges and parties in the GTA. Last year, he played Bar Italia alongside Quadratik and left a lasting impression! Ofield will also be holding down Calculated Soul Live at Lobby On York, so you’ve got a double BUNDOWN flex this Saturday! 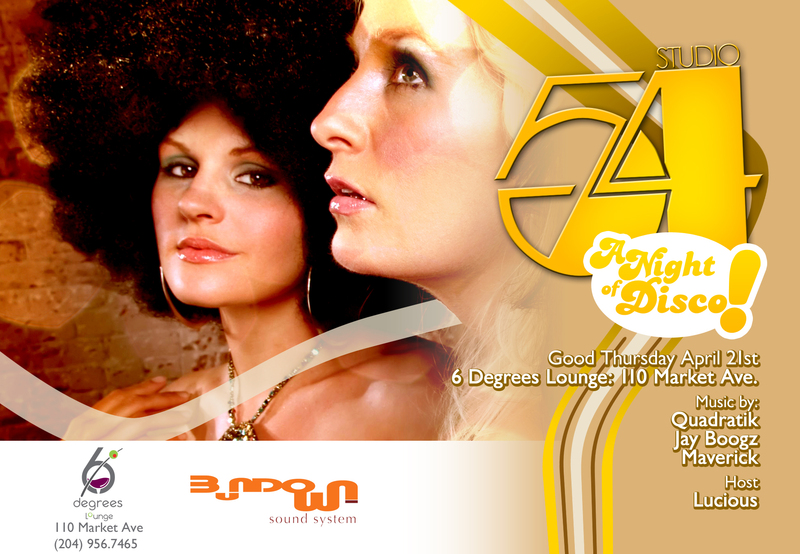 Studio54 is also fast approaching and will take place inside 6 Degrees Martini Bar & Wine Lounge on Good Thursday, April 21! We’ll be welcoming back our homey MAVRIK (Dangerous Goods Crew) on the decks that night, as well! Word is spreading and folks are anticipating a night of disco from the 70s to nu disco! 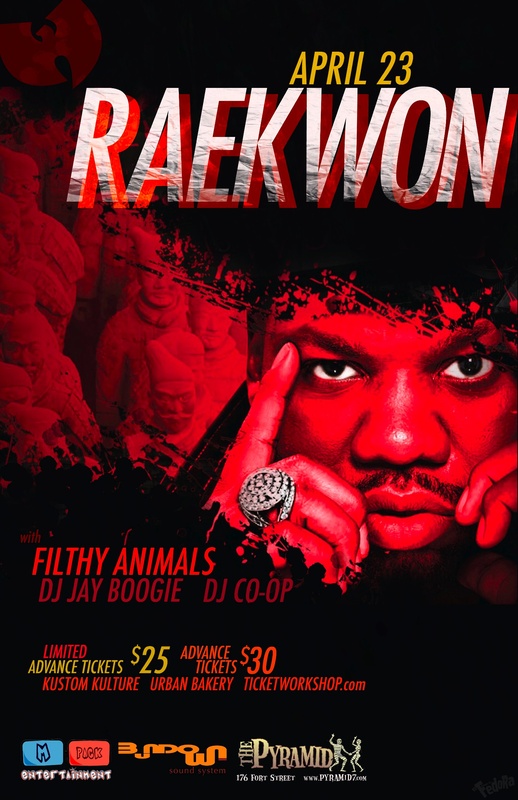 Finally, if you don’t already know about the RAEKWON show on Saturday, April 23 at the Pyramid, then we should inform you that the show will be opened by FILTHY ANIMALS, DJ CO-OP and our very own Boogz! Rae is touring to support the release of the latest Wu banger, Wu-Tang vs Shaolin, which you should cop immediately via your fave music source! That’s it for now…see ya on the dancefloor! Bundown celebrates past year, fetes new year. The guys went all out this year with their first major NYE appearance since Sound Republic‘s first Champagne Supernova party! The Saints & Sinners Masquerade Ball at Moxie’s MTS Centre featured Jay Boogie, Quadratik and Lucious setting things off proper inside the resto’s premium lounge filled with a roomful of beautiful people decked out in Mardi Gras-style masks and their finest accoutrements! Shout out to Blake Lelyk – great working with ya on this one, Red Bull, Diageo and Big Rock Brewery for sponsoring the event and MTS Centre security for holding it down at the door for us! January is looking like a winner with the continuing Calculated Soul Live series at Lobby On York. Q will be dropping the heatery on January 15, followed by Lisa Bell‘s return on January 21 with The Motown Experience, where the talented Canadian Idol finalist will share her favourite Motown covers! Celebrated fan fave and music lover DJ @ Large (Dope Joints, 101.5FM) will be making his first CSL appearance on January 29. FYI: The Motown Experience is going to be an exciting part of CSL as it features vocal talents of all genres from across the city sharing their love of Motown! Boogz and Q will be rocking the decks at Bar Italia on January 22 for a special booking and Boogz returns January 28 for his first appearance at their Resonate weekly alongside Alphagroove for a funk and house “bunfiyah”! 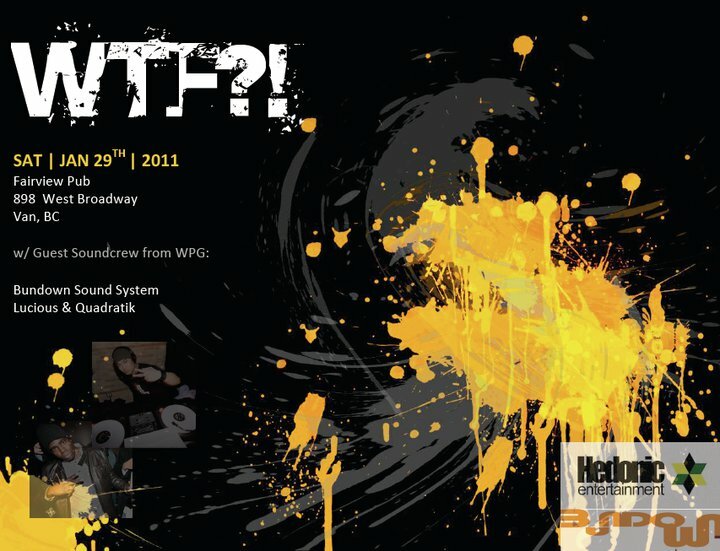 To finish off the month, the recently resurrected WTF? (Where’s the Funk?) party will make its first appearance in Vancouver at Fairview Pub on January 29 with Q and Luc via Hedonic Entertainment. The guys are really looking forward to spreading the soul & funk vibes out west! Speaking of the west, we’d like to send mad love out to Lil’ Phil who is now based in Seattle. We know you’re gonna show ’em what time it is out there, homey! See y’all on the dancefloor! Original Funk Bundown lineup to headline Testify. 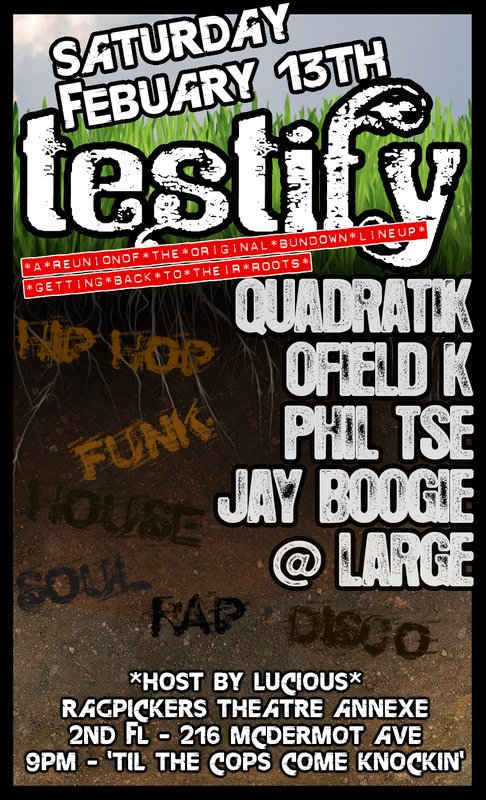 By now we’re hoping that you know about TESTIFY, the upcoming fete that will reunite the DJs that played together for 2008’s Funk Bundown summer residency @ The Orbit Room. 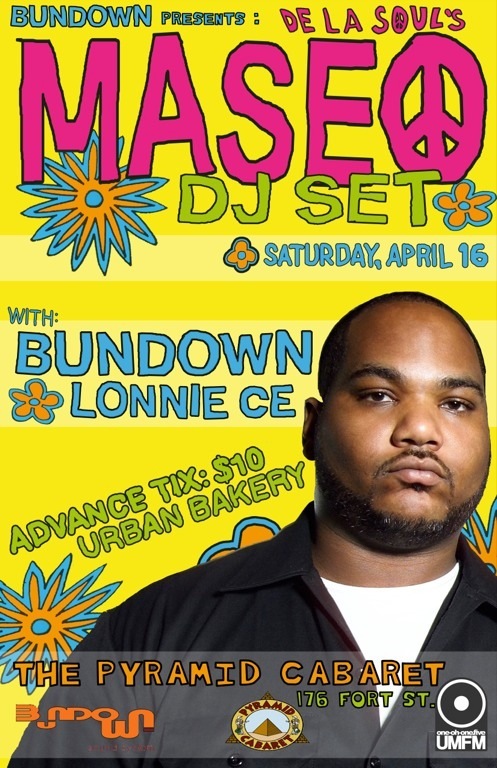 Yes, the same residency that gave birth to what is now known as the BUNDOWN SOUND SYSTEM. Though we have played together in various incarnations since then, this will be the first time everyone will be playing under the same roof – with the exception of DOUGIE B and MANIC, who will be in Los Angeles and Calgary, respectively. We’re happy to be bringing the funk, soul, disco, rap and house to you inside Ragpickers’ Theatre Annexe, 2nd fl-216 McDermot, which if you can recall, was the same place we had our | ∂ecadence | after hours jam back in August. We’re also happy to have the participation of B-BOY SUGAR of MEIJI CREW/CENTRAL BEATHEADS taking care of our visuals for the evening. If you’ve seen his shots, you know he’s gonna nice up the place heavy, seen! …along with LUCIOUS as your host and agent provocateur! So, mark it on your BlackBerry, iPhone, Nexus One, agenda, calendar or forehead because come the February long weekend, nothin’ in city is going to be hotter than July!! !